If you are looking for hair that is long, strong, smooth and thick, then artificial products will never suit you. It will yield better results if you go for something that is natural. Natural remedies add shine and health to the hair. If you are feeling annoyed with grey hair, you can easily cover them using a natural remedy i.e., black mehendi. Mehendi, also known as henna, not only dyes your hair, but also makes the hair thicker, stronger and silky. If applied regularly, it will strengthen the roots of your hair naturally. The best thing about henna is that it will act upon hair roots and it will add on to the thickness of your hair strands which will accentuate the hair volume. Henna is natural and also possesses the anti-fungal and anti-bacterial properties. Moreover, it also restores the scalp balance (acid-alkaline balance) without tempering the natural balance of your hair. Henna powder should be stored only in a dark and cool place, such as cupboard, because natural light might deteriorate the power of the plant. You might have stumbled on other articles on the internet, advising you to store henna in the refrigerator. But it is not at all advisable. As told by science, powders develop their nutrients by fermentation and by refrigerating them; they will end up absorbing the humidity, which will decrease the effectiveness of the powder. 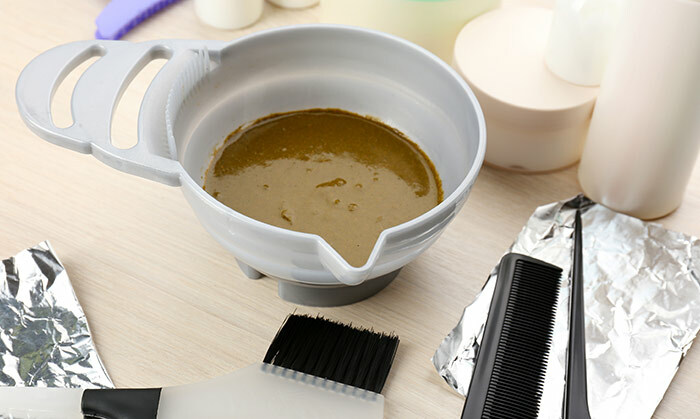 On an average, in order to get rid of those grey hair strands, one should apply henna mixture in every three to four weeks. If you want naturally beautiful hair, turn to henna. There are many side effects of conventional hair dyes. Here at StyleCraze, we always advice you to try natural remedies. One more great merit of mehendi is that it is extremely nourishing for the hair. Like a moisturizer works for your skin, in a similar way Henna works for the hair. Women who use hair colors often experience dry, itchy and flaky scalp, whereas henna conditions your hair and leaves them soft, silky and beautiful. The best type of henna for covering your great hair coverage is “black henna” which in India, is popularly known as ‘black mehendi’. 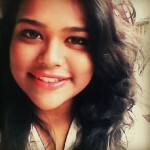 It gives a solid color to hair and is usually mixed with natural henna for silky and more natural black hair. Pure and natural black mehendi provides single color change (mostly Red). Largely depending on your original hair color tone before the application, the after-results will vary, ranging from lighter to darker, basically any shade of red. 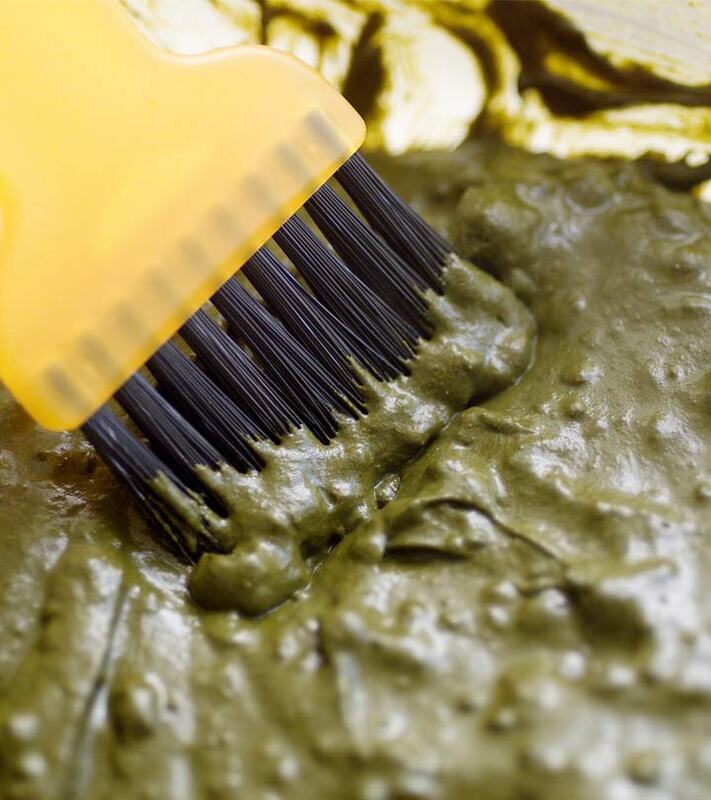 Try mixing herbs into black mehendi paste, and experiment twice or thrice to get the desired shade. One needs to be careful in protecting the skin against staining due to black mehendi. Applying black mehendi on hair takes merely 5-15 minutes, and then you need to cover your hair with shower cap or towel for an hour. How To Apply Black Henna Without Messing? The best way to apply henna is by using a hairbrush. After applying Henna, cover your hair and leave it for an hour at least. One should always purchase ’natural’ henna powder, which is generally light green in color. Stay away from packaged henna products which come with a ‘developer’ and contain synthetic ingredients. If you come across a product offering pre-mixed colors, go through the back label carefully. If it claims 100% pure henna, it is a false information. Though there are good products with mixes of henna and herbs, try to analyze and buy the pack. How To Use Henna To Get Rid Of Grey Hair? Follow the steps that are mentioned below. The steps will teach you how to apply henna for grey hair the right way. They are easy to follow and do not need much effort either! 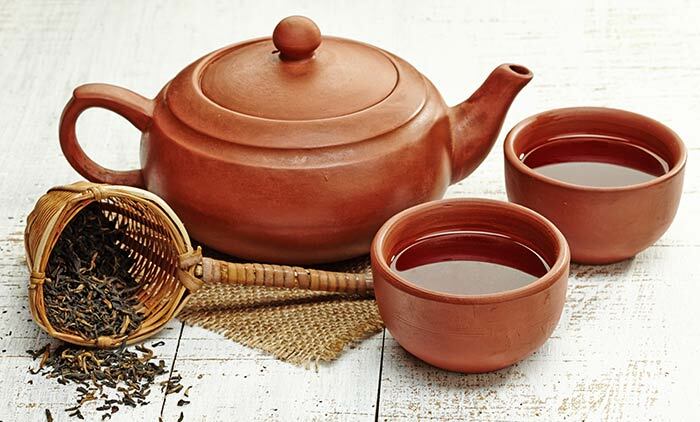 The first and most important thing you need to do is boil black tea leaves in water. Take a saucer and pour water into it. Turn the gas on and then drop the tea leaves into it. Let it boil and bubble for a while. Simmer it until the water becomes half. The water should be in proportion to the quantity of henna powder you use. Always use natural henna powder. The next thing you should do is to prepare a henna mask. Take some henna powder depending upon the intensity of grey hair. Then soak it in water for around 8 hours, preferably during the night. Once this is done, pour black tea into it along with some lemon juice. Mix it well. You should also add some amla powder to this mixture. Now, take that particular part of your grey hair. If it is an entire section, you can make a ponytail out of the other, so that they don’t stick to one another. Apply the mask with the help of a brush. Your fingers will also do the work. But choose something that is comfortable for you. Apply it all over your hair. See to it that you cover all your grey hair. You cannot wash your hair off right on that spot. You will have to wait for about 30 minutes. In the mean time, take a shower cap and cover your hair with it. Relax for a while now! Get yourself a good massage or even a relaxing pedicure works well. Read a magazine or text your best friend if you are alone. Once 30 minutes have passed, you can wash your hair. Make sure you rinse it thoroughly to clean the mehndi. This might take up a little time. But you should be sure to wash your hair well. Cold water would do wonders. It will impart a healthy shine to your hair. You can also apply a good amount of conditioner to your hair wearing the gloves. Massage it well on the hair and wash it off. Repeat the washing process in case the hair is not washed properly at the first go. 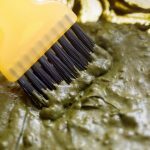 You are done with the henna treatment for grey hair with these steps. You will seriously love your hair now. If you are using pure henna, your white hair may turn into pink or orange. And I am sure you wouldn’t want that. It would look unappealing and unnatural. Go for natural henna instead. It will add a glow and shine to your beautiful tresses. If you have never used black mehendi before, do a patch test to check for any allergic reactions. The longer you leave the dye, the higher is the chance for the allergy to pop up. Are you already into the regular usage of henna for your grey hairs? What are your experiences? Share your feedback with us. Hair care can be done right only if the right products are used. Here is a list of the best Jovees hair products that you can find in the market.